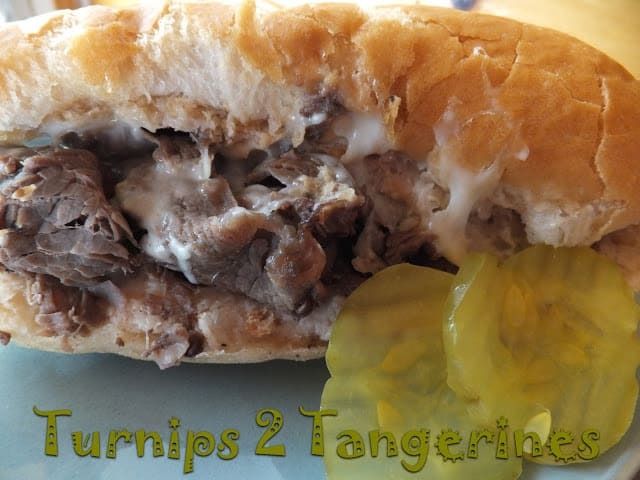 I have made Italian Beef Sandwiches for every gathering under the sun. From Baby Showers to Super Bowl Parties, this recipe has appeared on the table. I make several different recipes for ‘hot beef’ but this recipe seems to go over the best at parties. This recipe is so easy to make. You throw everything into a slow cooker, turn it on, and it’s good to go! All you need are some rolls, cheese slices, pickles and potato chips. 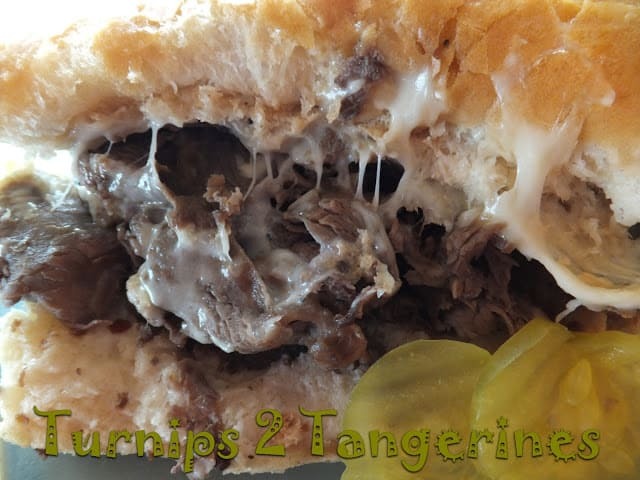 Delicious Italian Beef Sandwiches perfect served on toasted buns with mozzarella cheese. Drain pepperoncini, reserve juice. Remove and discard stems from peppers. Set peppers aside. Cut roast into 2 to 3 inch pieces. Place 1/2 of meat pieces into a 5 quart slow cooker. Top meat with sliced onions, pepperoncini and red pepper strips. Top with rest of meat pieces. In a small bowl combine water, reserved juice, salad dressing mix, Italian seasoning, crushed red pepper, garlic powder, salt and pepper. Pour over beef in slow cooker. Cover and cook on low-heat setting for 10 to 12 hours or on high-heat setting for 5 to 6 hours. Remove meat with slotted spoon.Using 2 forks, shred meat. Return to juices in slow cooker. Heat through. Serve on rolls and top with cheese. Serve sandwiches alongside pickles and potato chips. This recipe Doritos Hamburger Bake been around for eons. 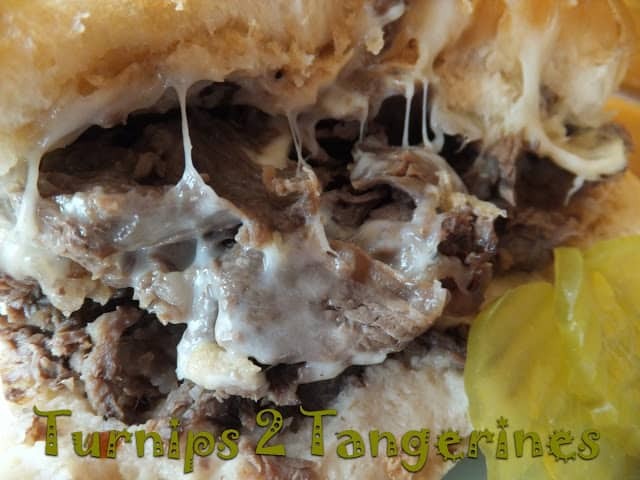 Every family seems to have their own version of this classic hamburger bake. I’ll admit, this is one of my all thyme favorites; Doritos Hamburger Bake. 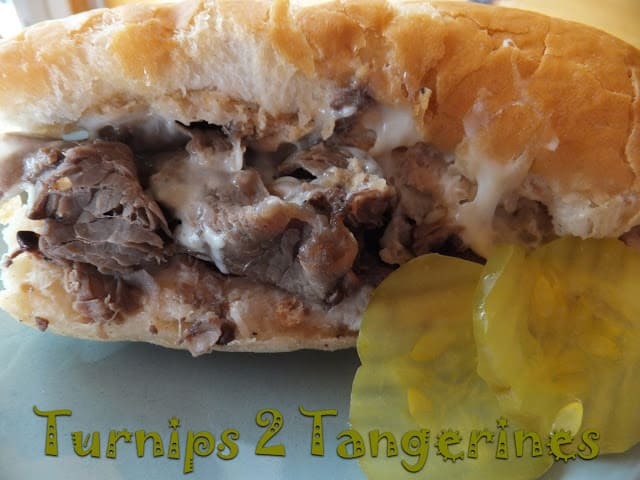 Here is another favorite recipe for Hot Beef; Hot Beef Sandwiches and Hot Beef Pinwheels. Thanks for stopping by and for following Natosha~ These sandwiches will be a Big Hit!! Enjoy! Lynn, these look so good! I think I may have found our sandwiches for Super Bowl Sunday. Although I might not be able to wait that long. Thanks fo stopping by my blog This Southern Girl's Life. I'm following. omg this looks great. my mouth is literally watering. thanks so much for stopping my blog, i know i am super late, so sorry!!! Charge it to my mind and not my heart.